No matter where you are in the world, a ball will bring a smile to a child’s face. A ball is a universal game starter, simple entertainment and endless fun. It’s a ‘toy’ that’s taken for granted in many countries and is a treasure in others. For children living in countries such as Tanzania, Rwanda and Somalia, the Dream Ball Project provides them a short break from the war, poverty and natural disasters that dominate their lives. Created by the Korean-based Unplug Design Studio, the Dream Ball is the ultimate ‘re-use and recycle’ project. 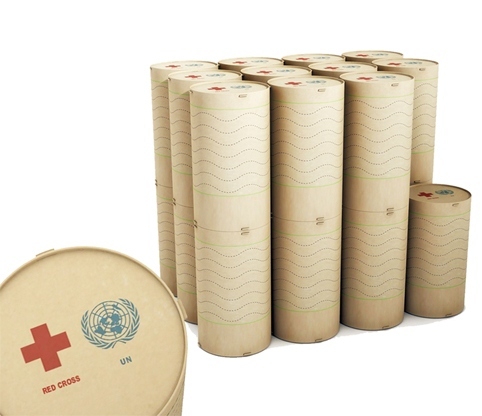 Aid relief boxes are sent to third world countries by organisations such as the United Nations, UNICEF and the Red Cross. Rather than discard the boxes, Unplug Design Studio has created a cardboard box with perforated patterns that when cut and woven become sturdy balls. 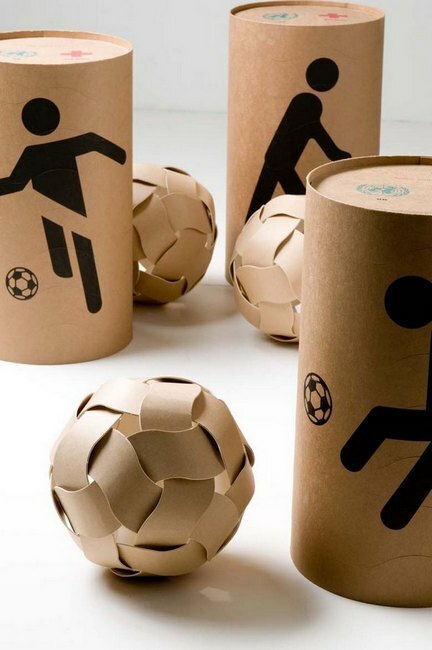 Different size boxes yield different size balls, from ‘baseballs’ to ‘soccer’ balls. Although the Dream Ball project is in the early conceptual phase, it is a fantastic example of ‘up-cycling’ materials that would otherwise be discarded.